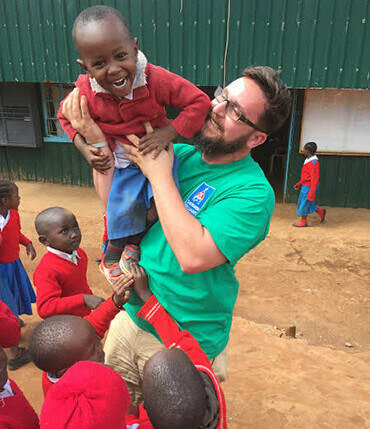 Trips to Kenya are a dynamic and essential part of our mission. 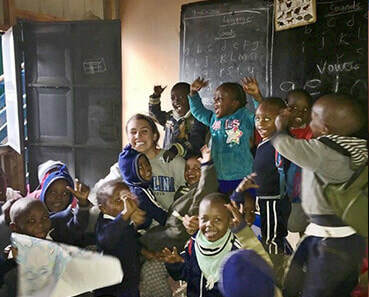 Only 9 days in length, these intensive experiences give volunteers the chance to learn about Kenyan culture and the realities of global poverty in one corner of the world. Trips are also about connection and engagement. Strangers become friends, and often decide to make a long-term investment in one another. 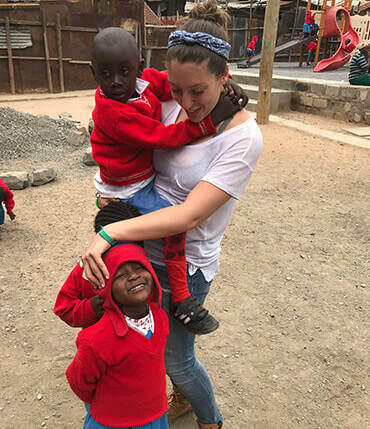 Since our incorporation in 2009, Crossing Thresholds has been leading trips to Kenya AND has traveled with nearly 500 trip participants. Safety is of the utmost importance, and we are painstaking about every detail pertaining to the security and well-being of our volunteers. During the first part of the trip, we are onsite at one of our schools in the Kibera Slum. At the end of each trip, we spend several days on safari at one of Kenya’s premiere national parks. What might compel someone to choose Crossing Thresholds? People ask ‘what will they do’ on a trip. We employ each individual’s talents and passions. A musician might design a music workshop, a photographer a photography workshop. A doctor or nurse might be involved in a medical initiative, an educator in teaching or teacher training. Other activities typically include arts and crafts, field trips, and construction. Our commitment is simply to make sure that every volunteer is meaningfully engaged. While the trip experience is often powerful, the trip is ONLY the starting point of a life lived differently. We often say ‘the real impact begins after the trip’. In other words, Crossing Thresholds wants our trip participants to stay committed to the children long after they re-engage in life at home. 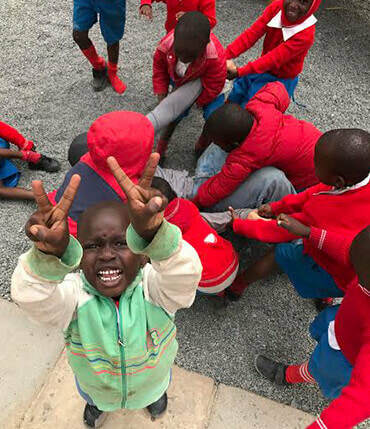 We work hard to keep every volunteer connected to the children in a meaningful way. The world is still beautiful, and extraordinarily diverse. Yet in countless ways, it is dis-connected and fraught with neglect, exploitation and injustice. By birth, millions of children are denied the simple chance to grow up and make something of their lives. Travel with us, and join our cause.